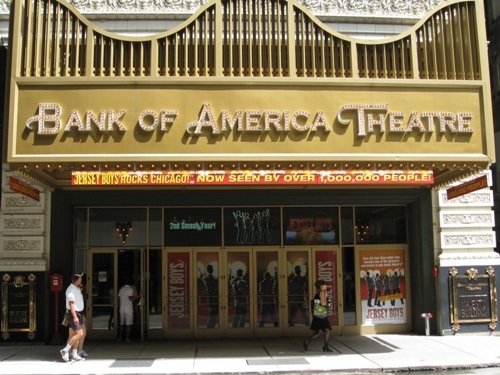 As we all know, JERSEY BOYS Chicago will end its phenomenal run today, January 10, 2010 at the Bank of America Theatre. At its closing, the show will have played 27 months — a total of 951 performances — and been seen by 1.3 million patrons. Chicago has always been my kind of town, but our visit to JERSEY BOYS in July of last year was a visit like no other, thanks to the cast, the crew, and four magical times seeing the show! The show takes its final bow on Sunday. I wish this fabulous cast, the fantastic band, the hard-working crew, and stage manager Larry Baker all the best in their future endeavors.